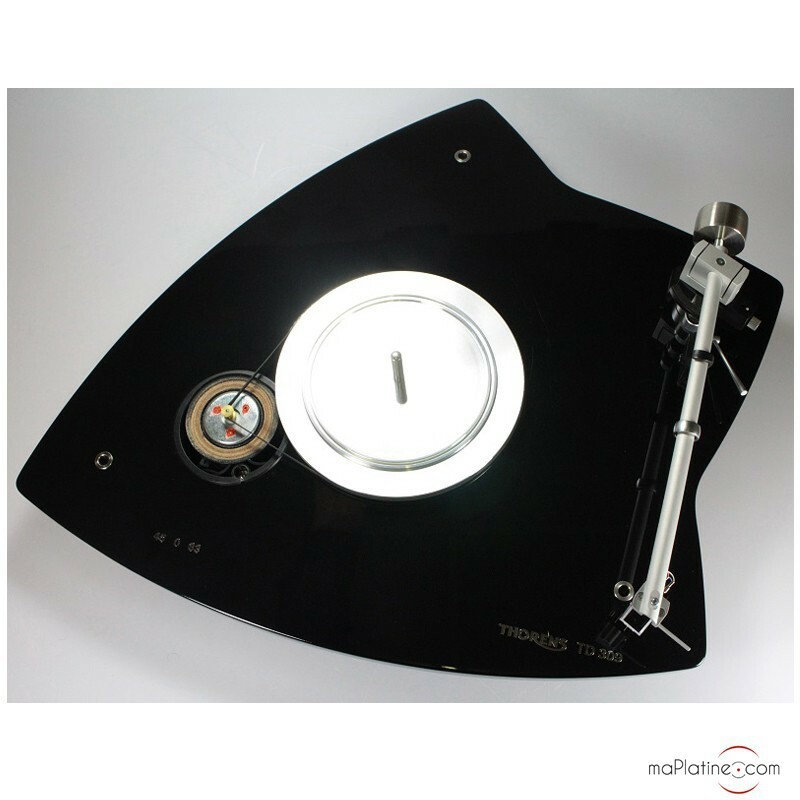 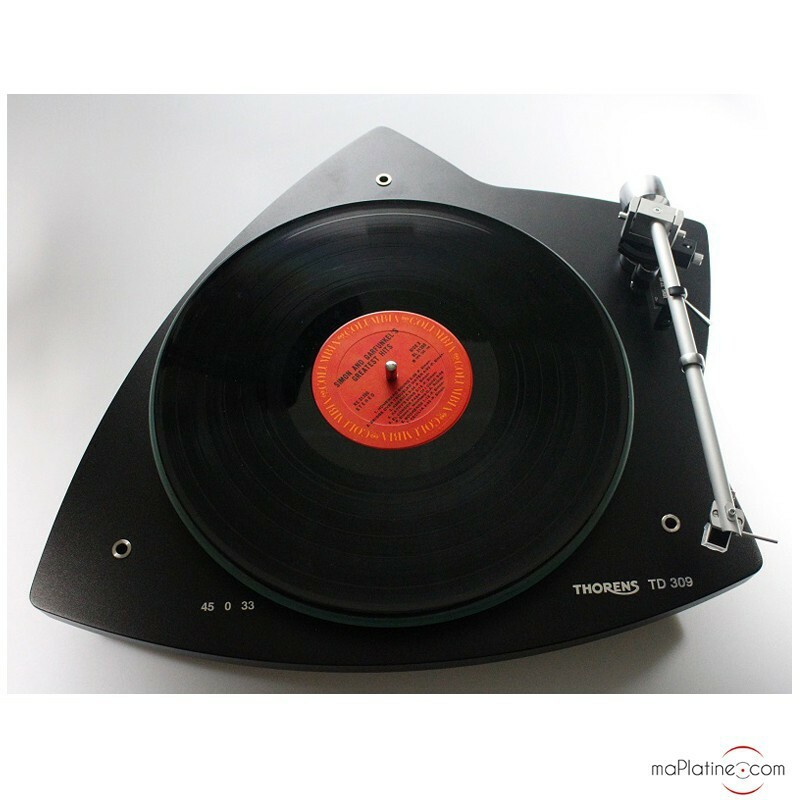 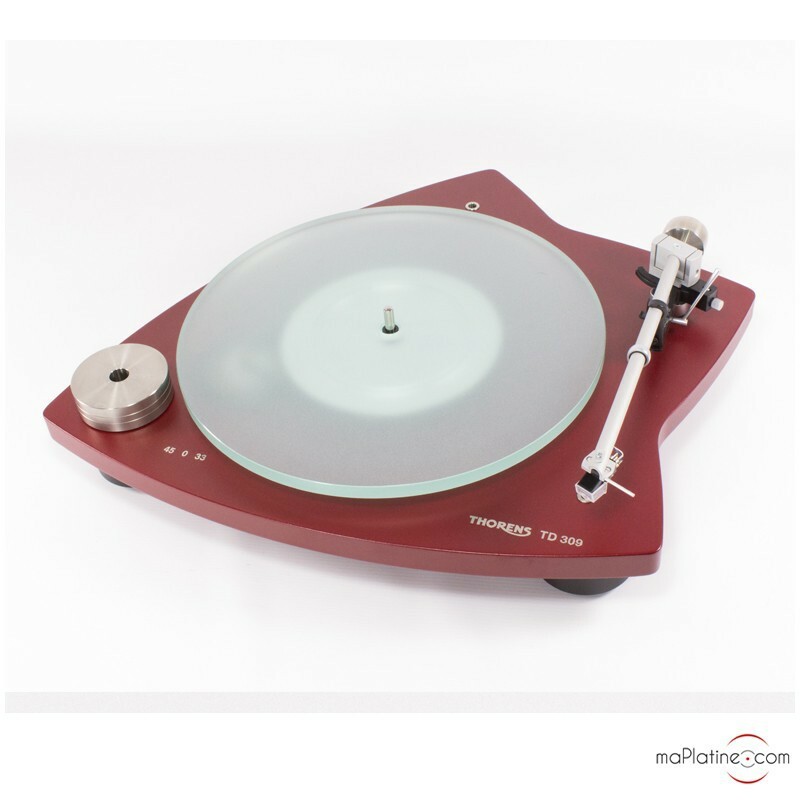 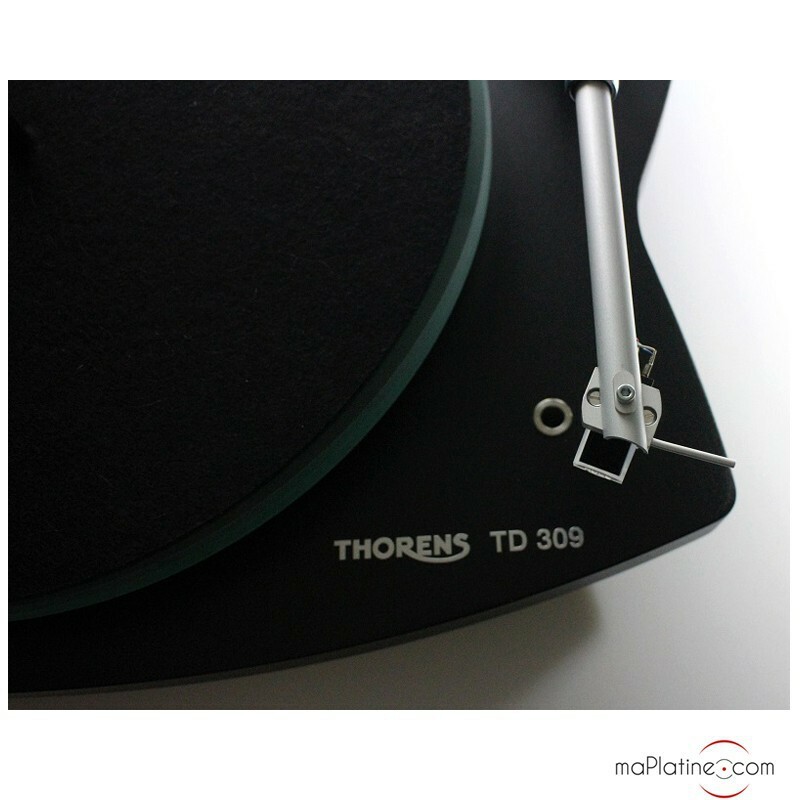 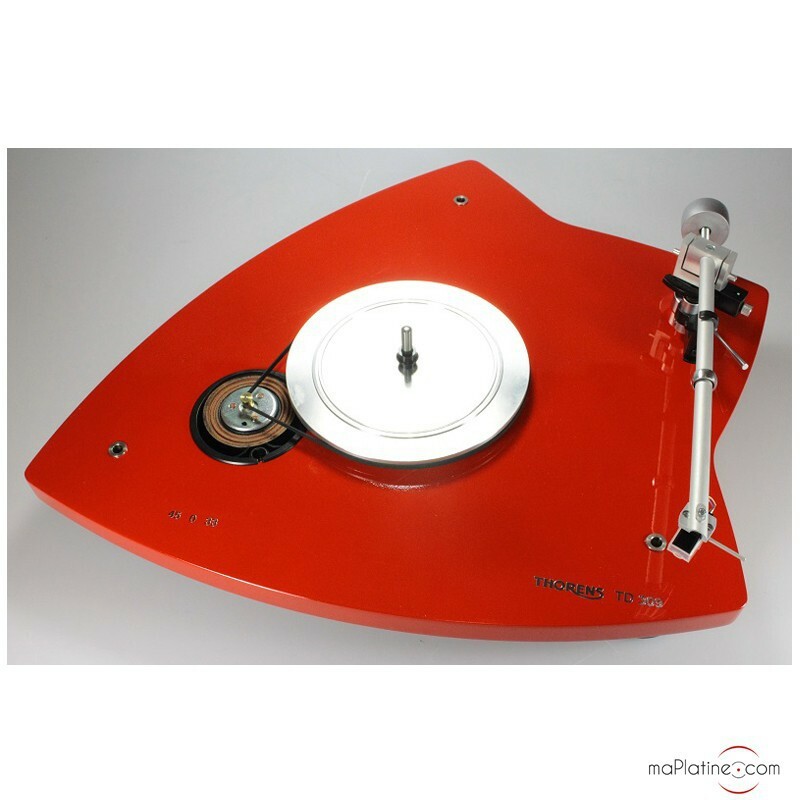 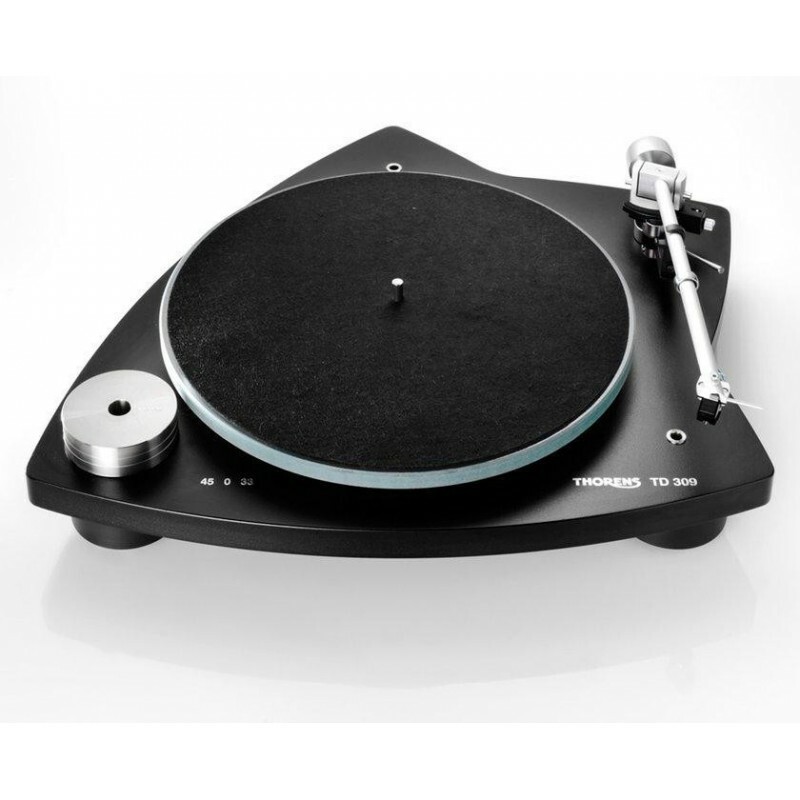 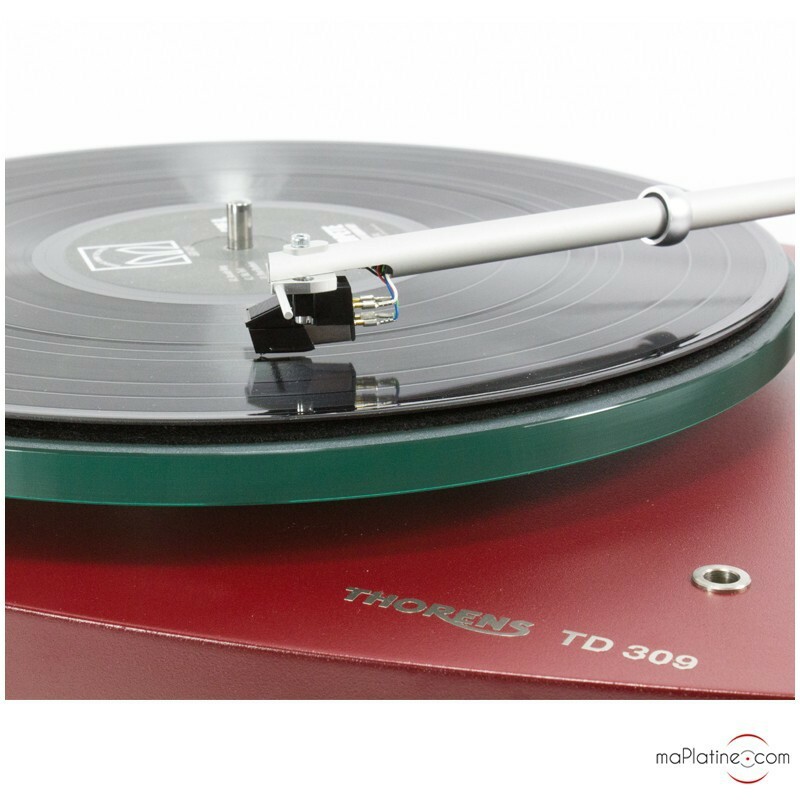 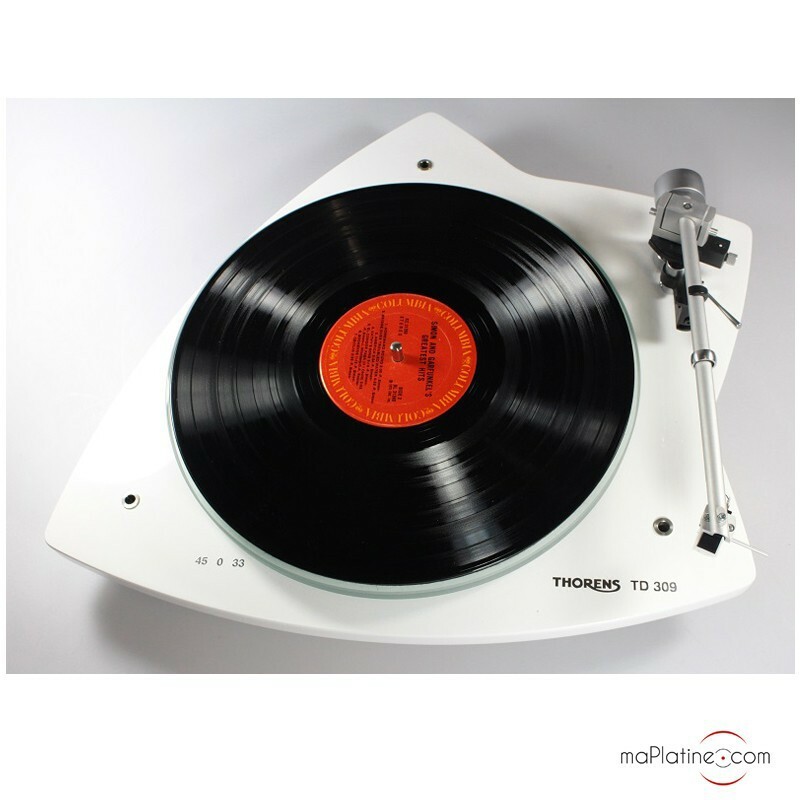 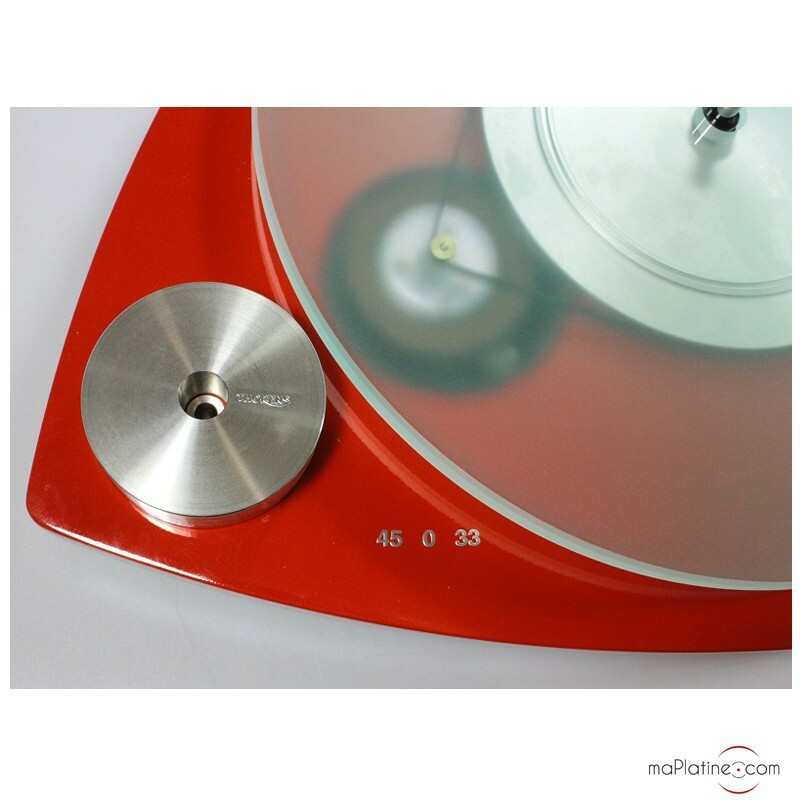 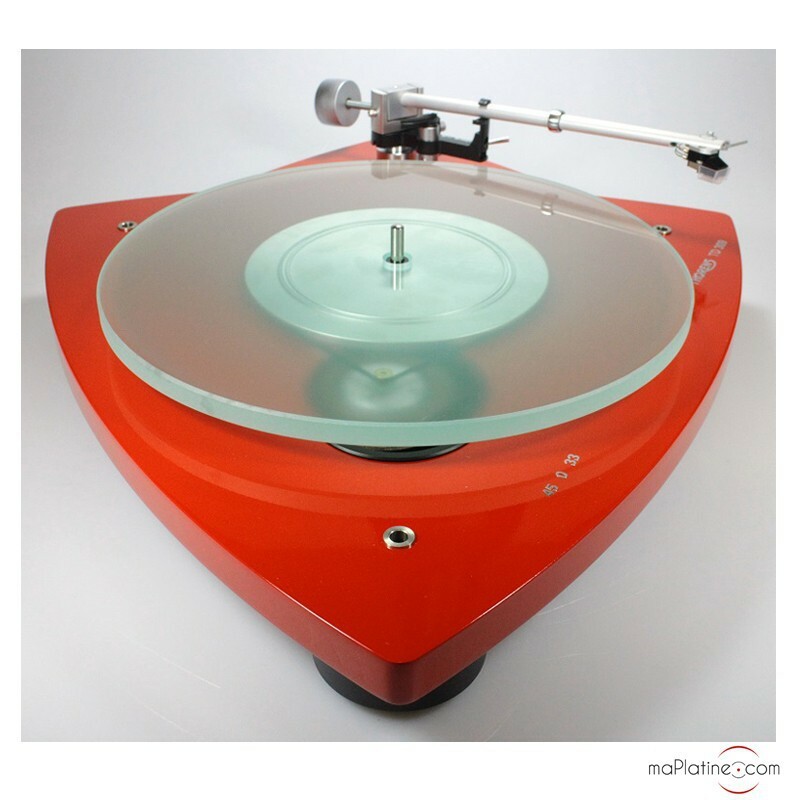 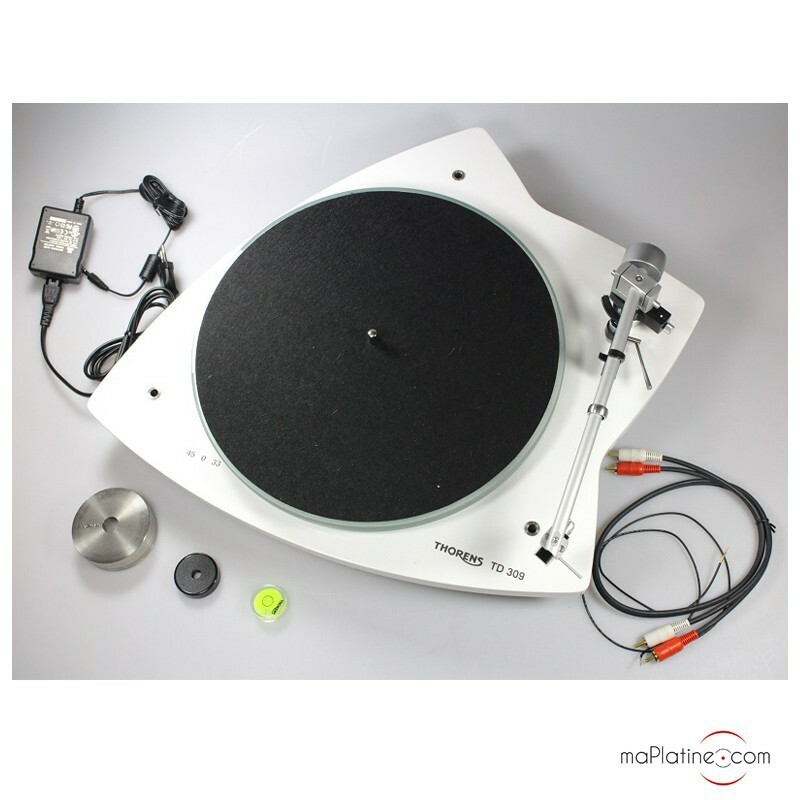 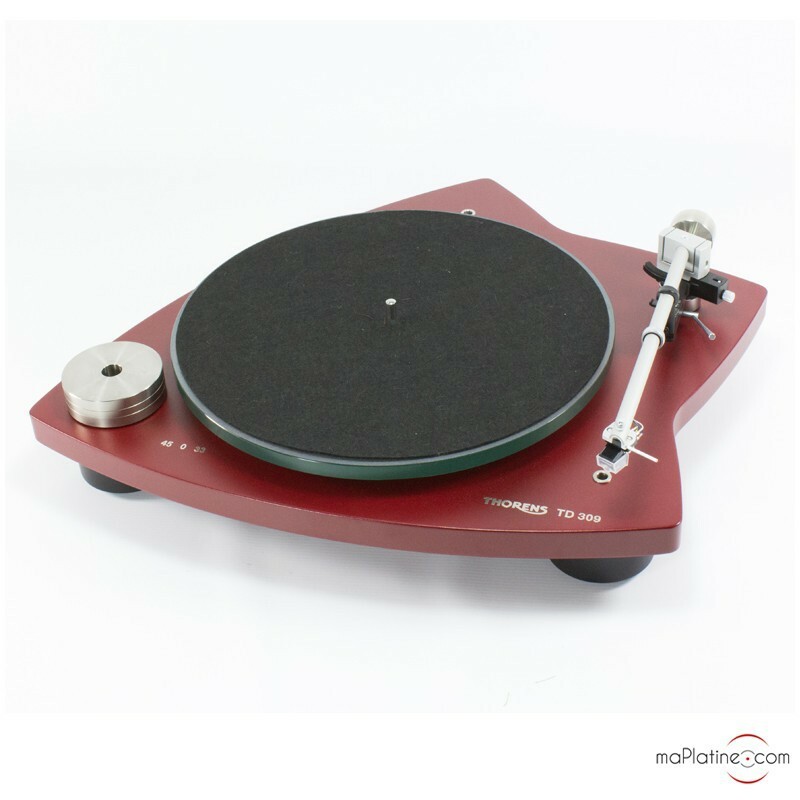 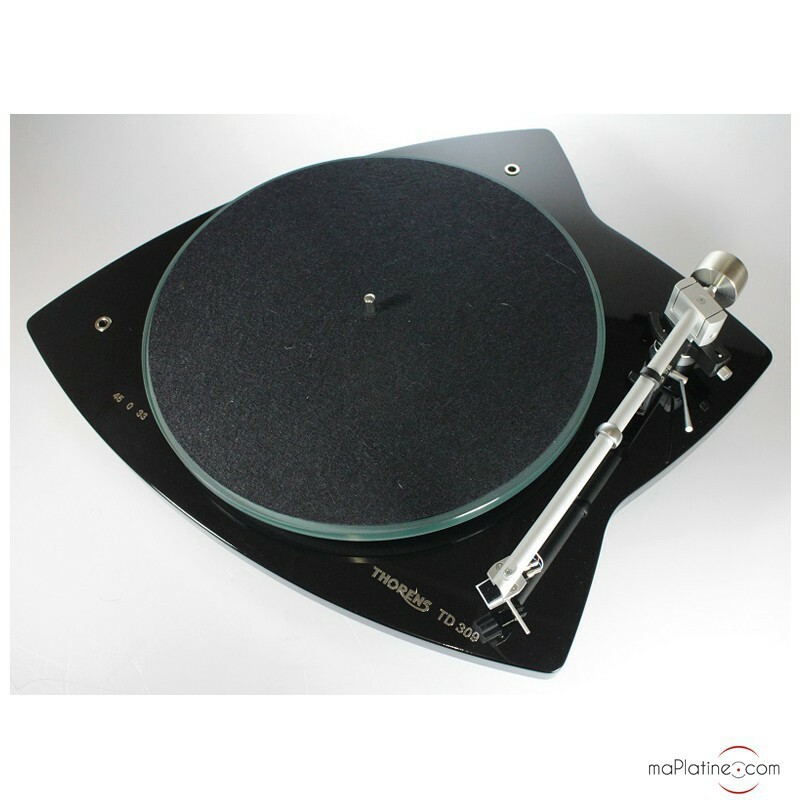 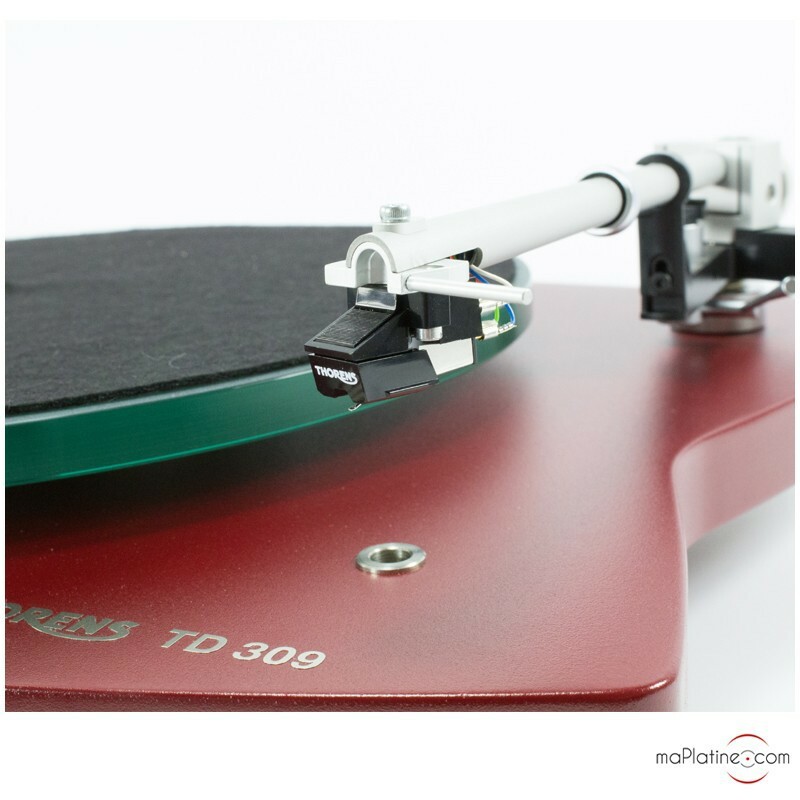 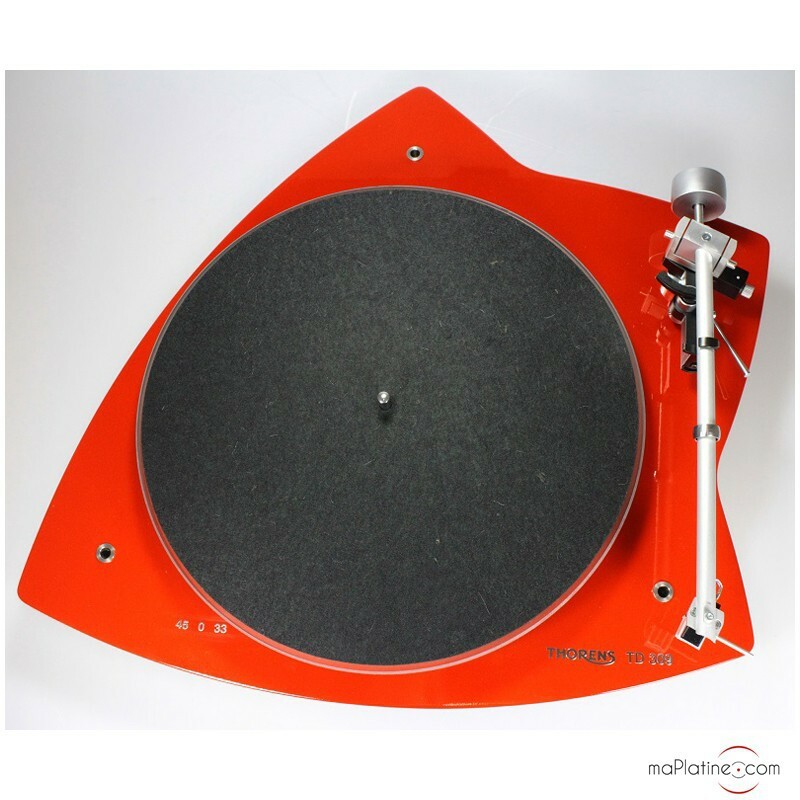 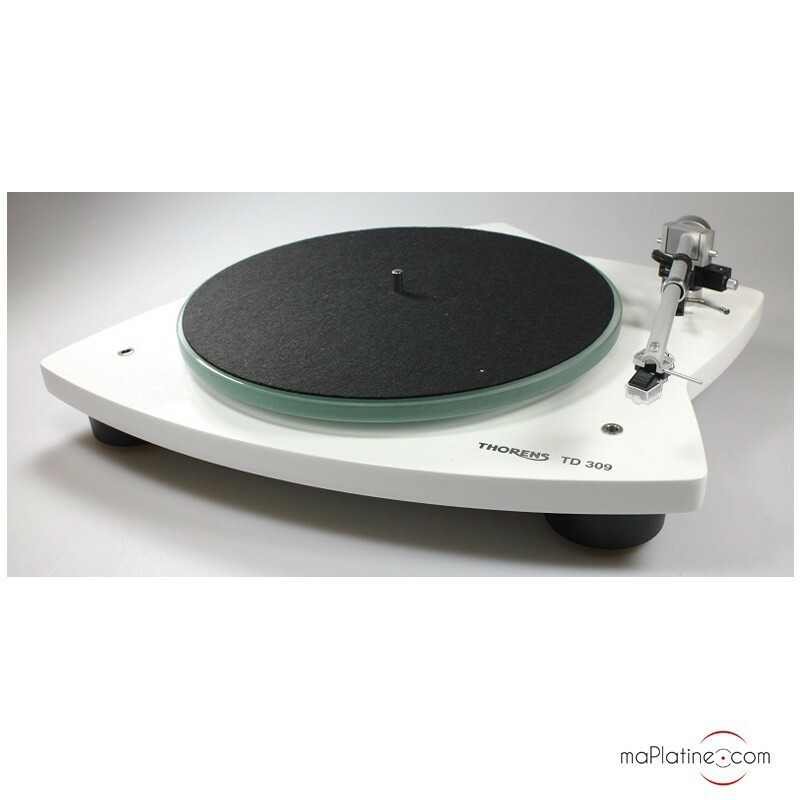 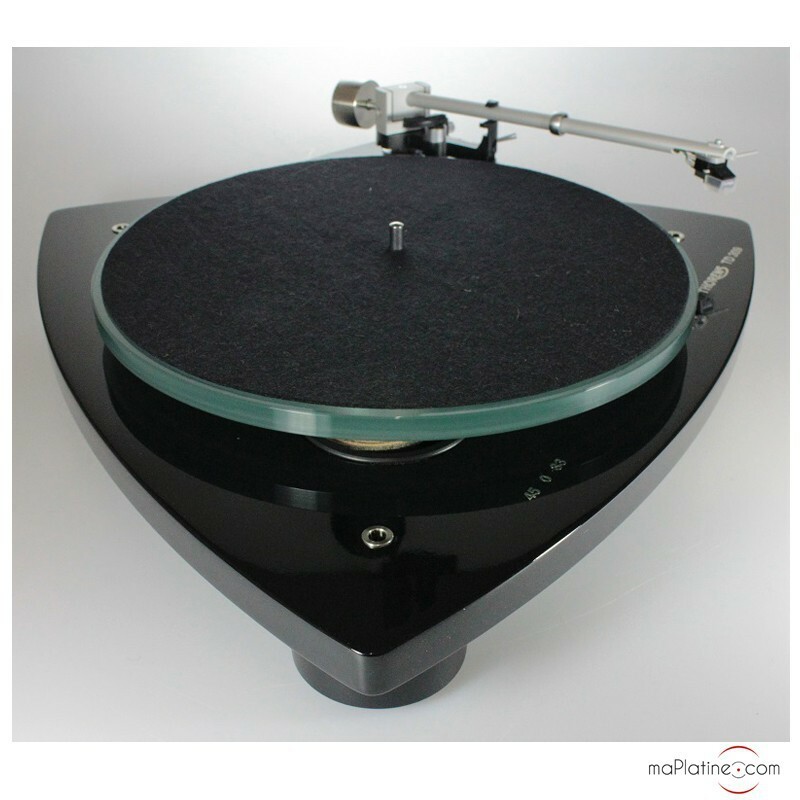 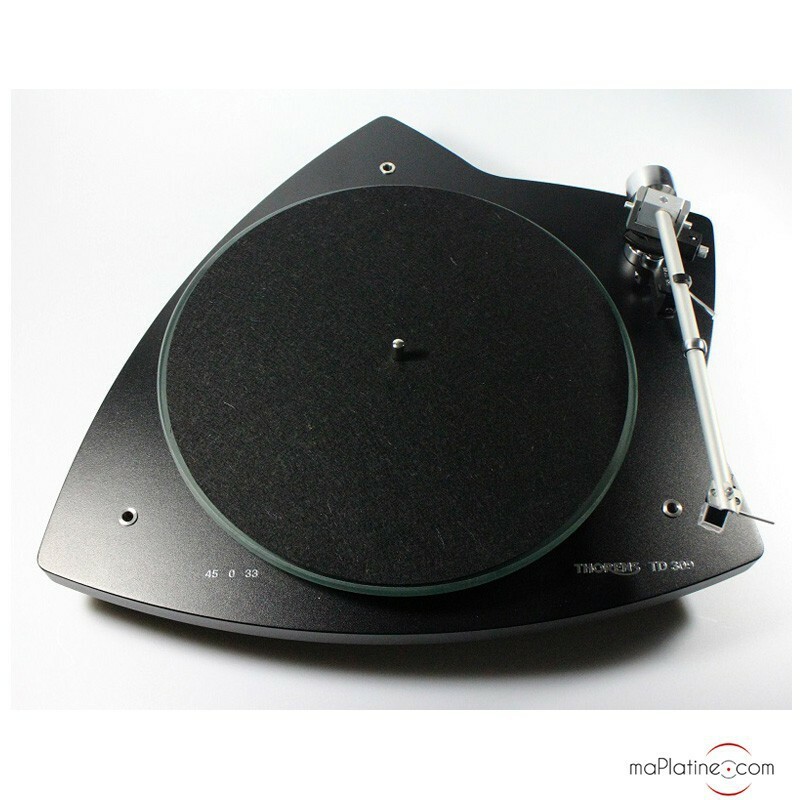 Though it may look like a rigid turntable, this Thorens TD 309 is in fact a suspended turntable. 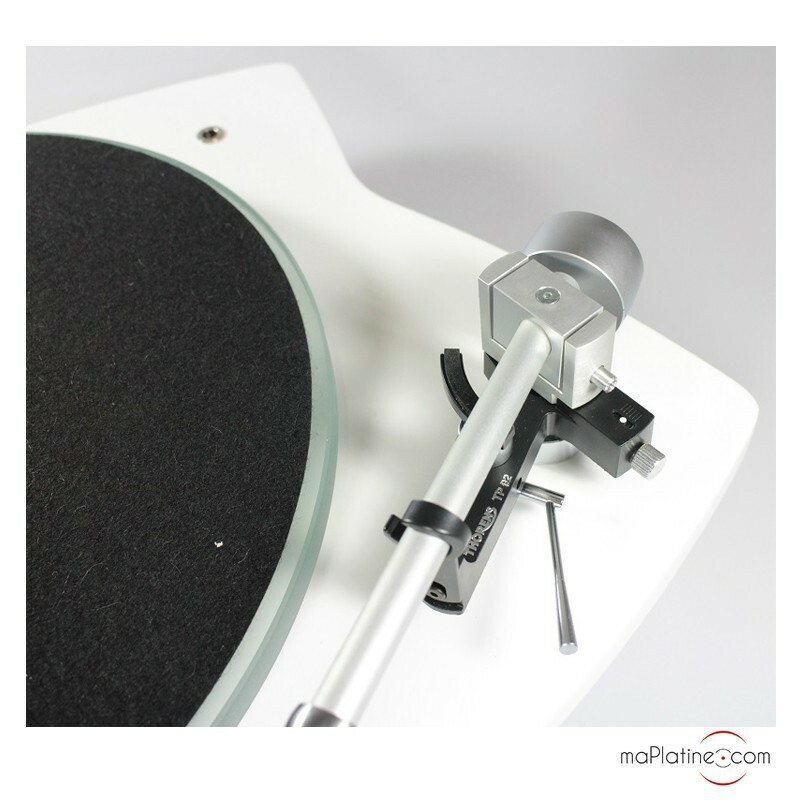 The manufacturer's 'tri-balance' damping system consists of a subchassis with three springs to support the platter. 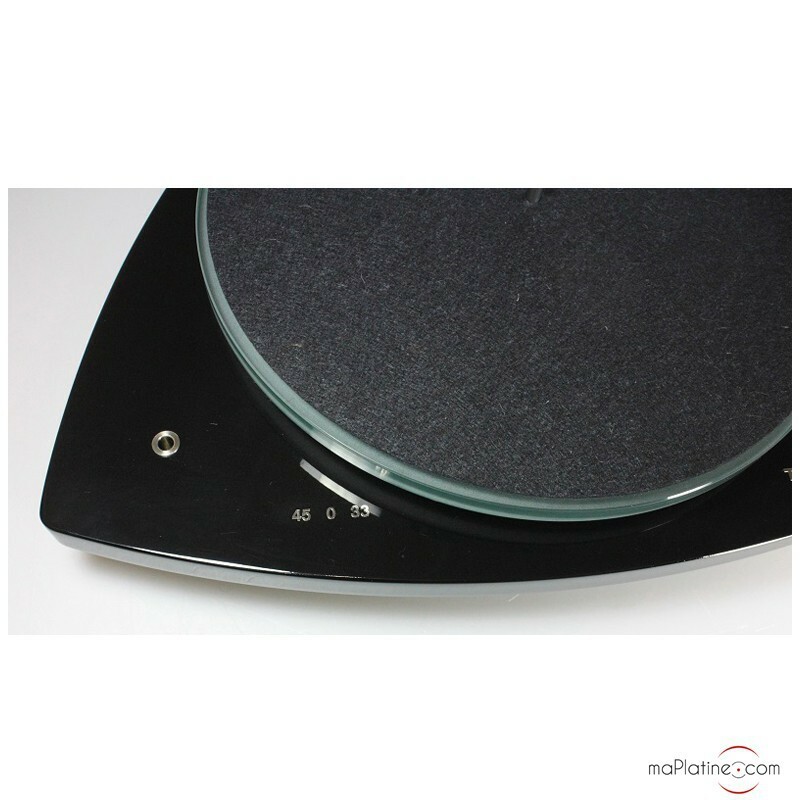 The star-shaped glossy MDF plinth weighs 4.2 Kg. 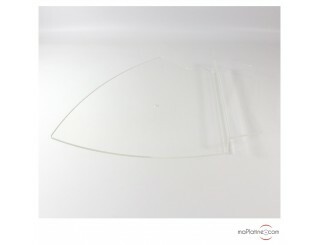 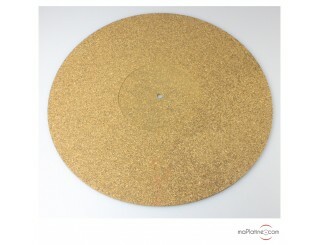 The 2.3 Kg platter is made of melted silica and is covered with a wool felt mat. 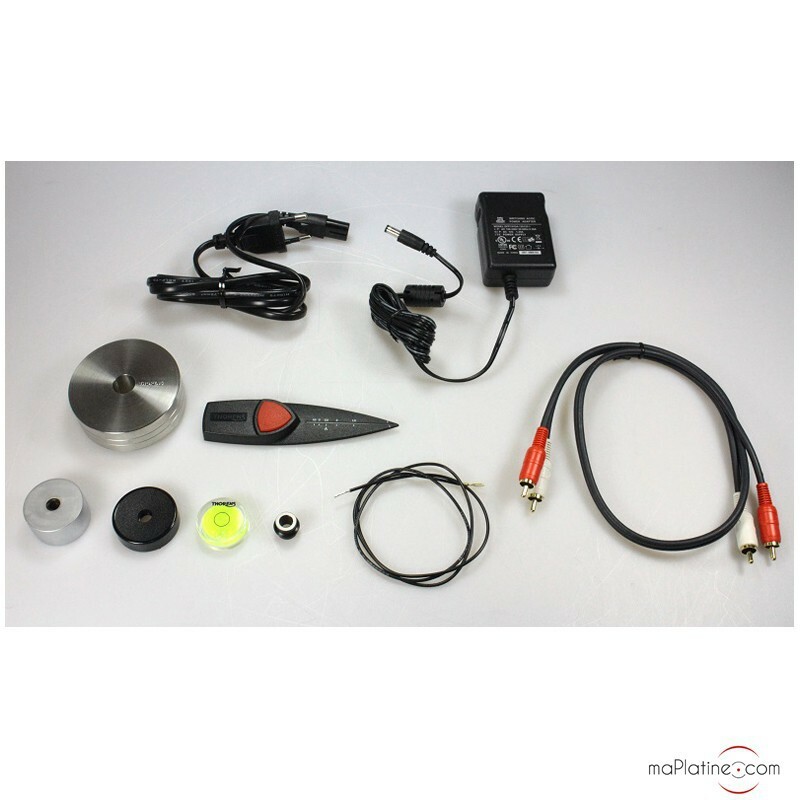 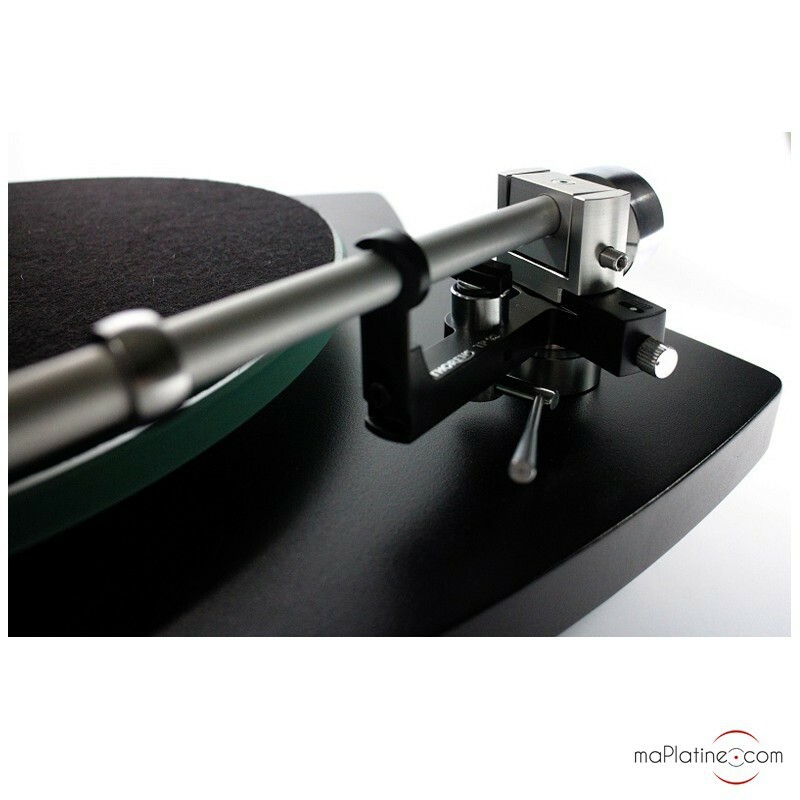 The DC motor has an electronic control that makes it more silent and also manages playback speed changes between 33 and 45 rpm. 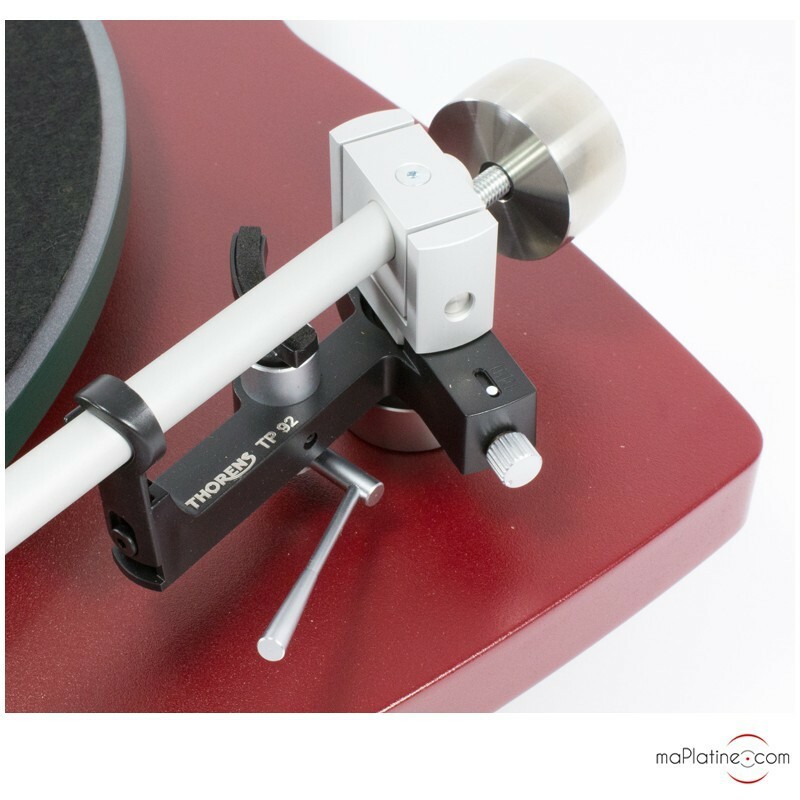 The tonearm is Thorens' efficient and unique TP92. 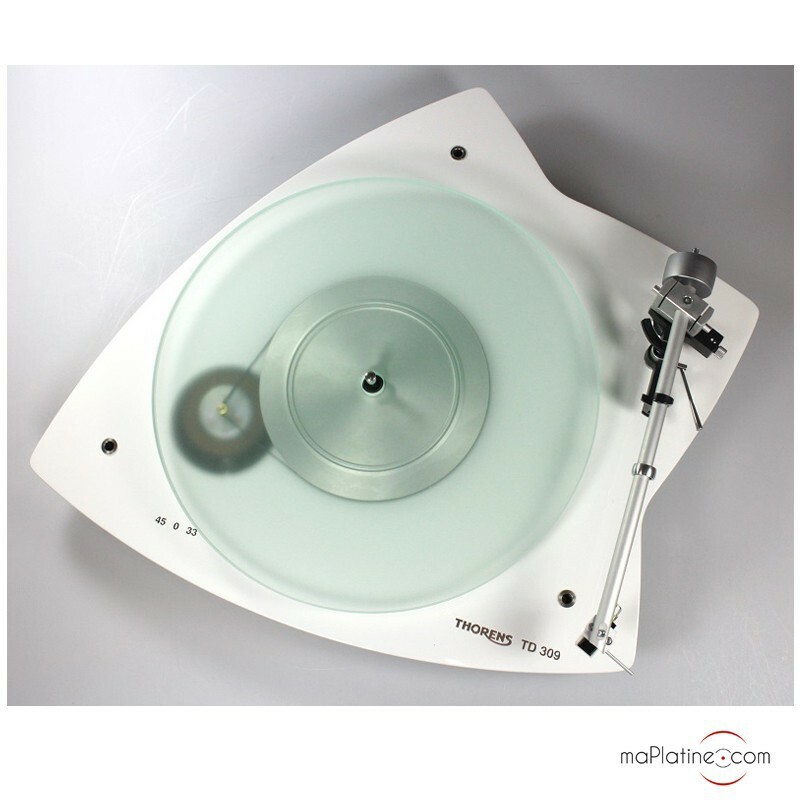 It is built in damped aluminium, it is assembled according to very strict tolerances, the antiskating uses magnetic repulsion (system similar to Clear Audio's). 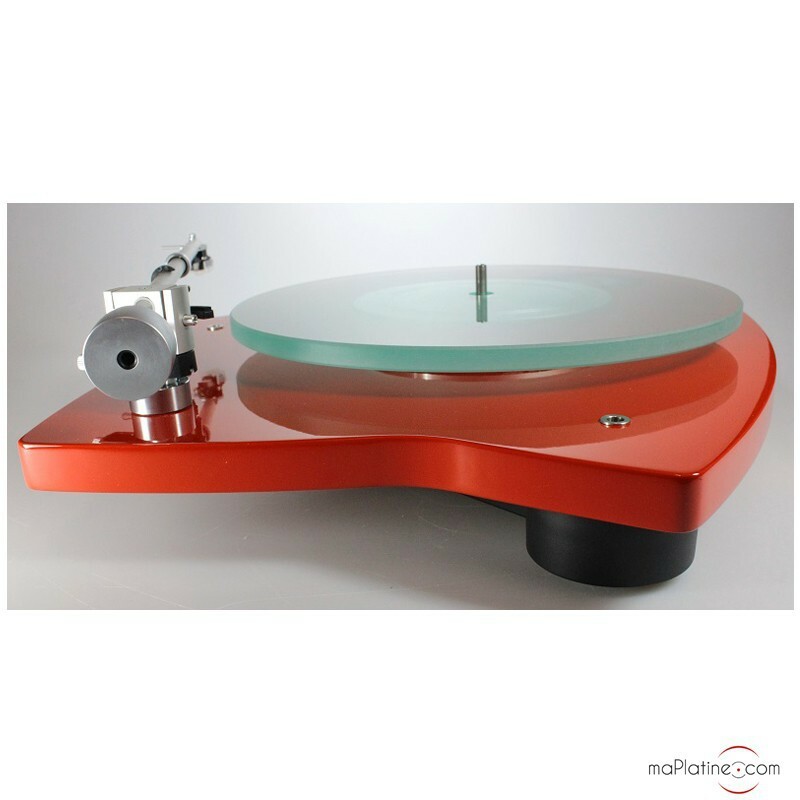 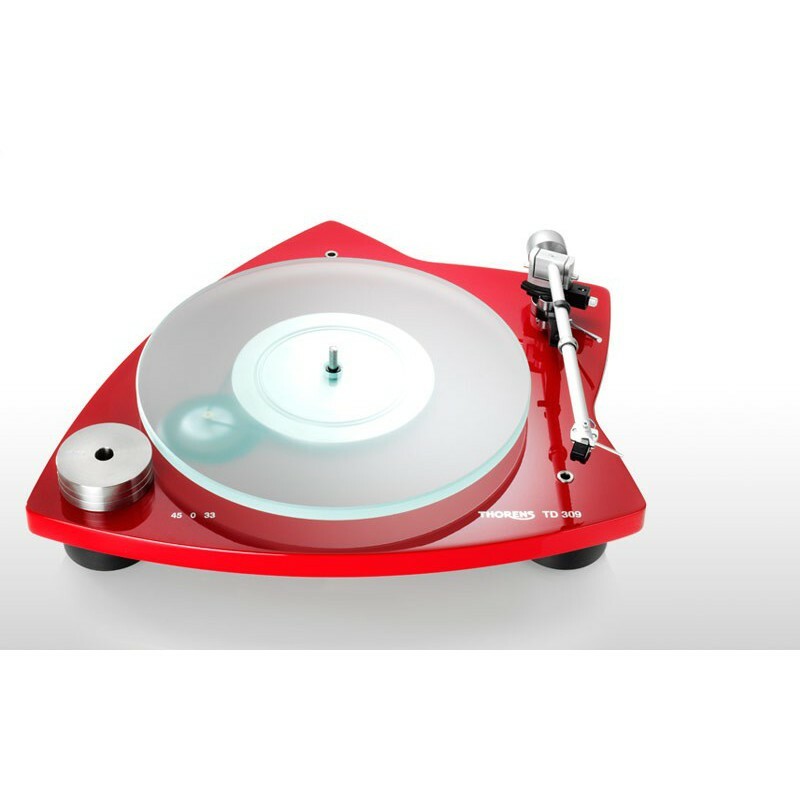 This turntable definitely has a unique design! 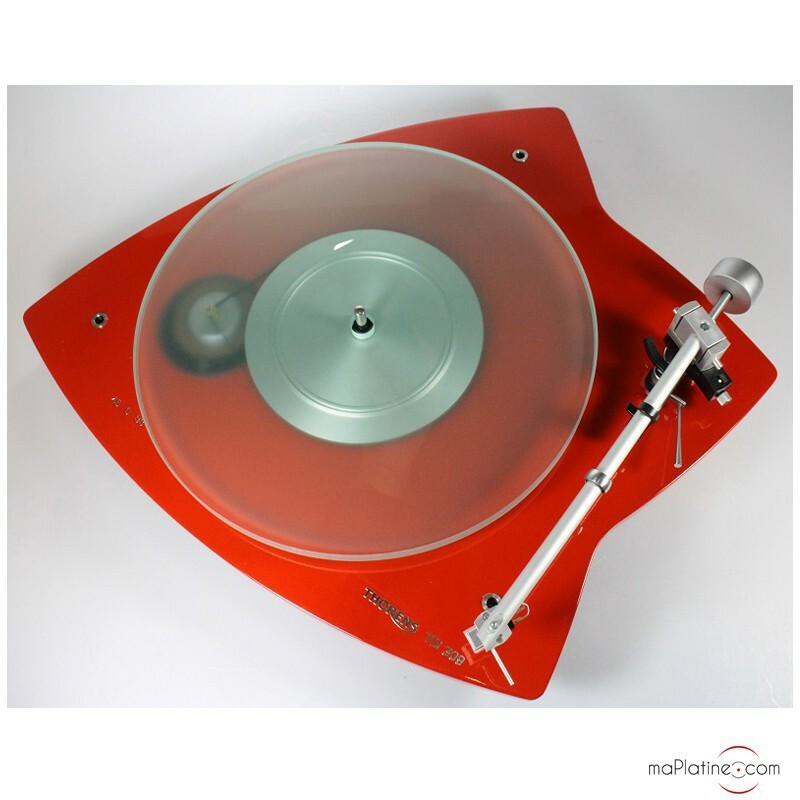 We at maPlatine.com love it! 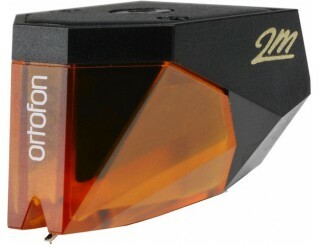 Irrespective of the finish, it is always beautiful. 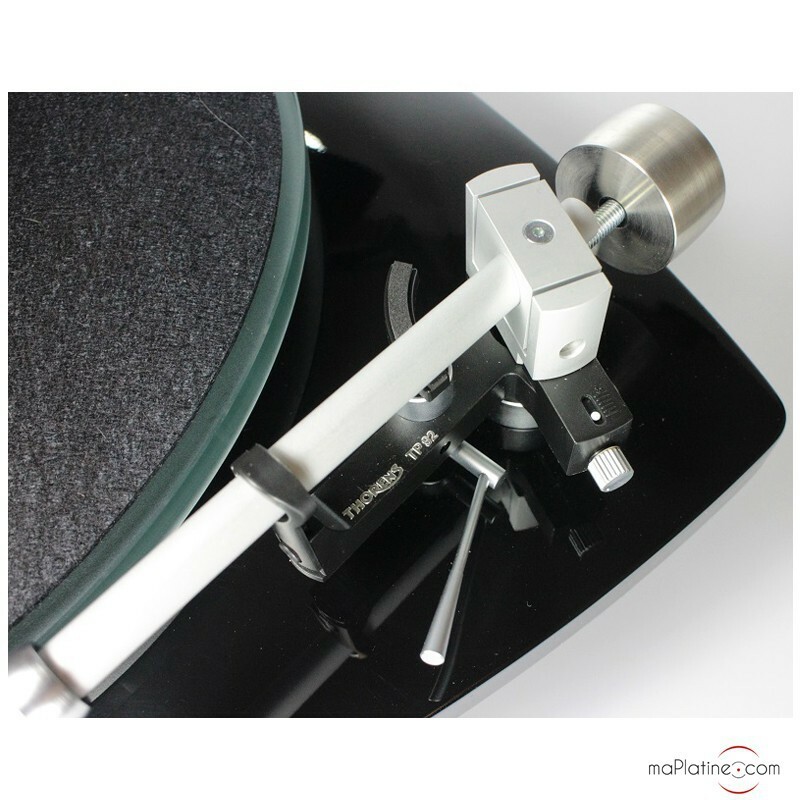 And we also really like the fact that it is very easy to use! 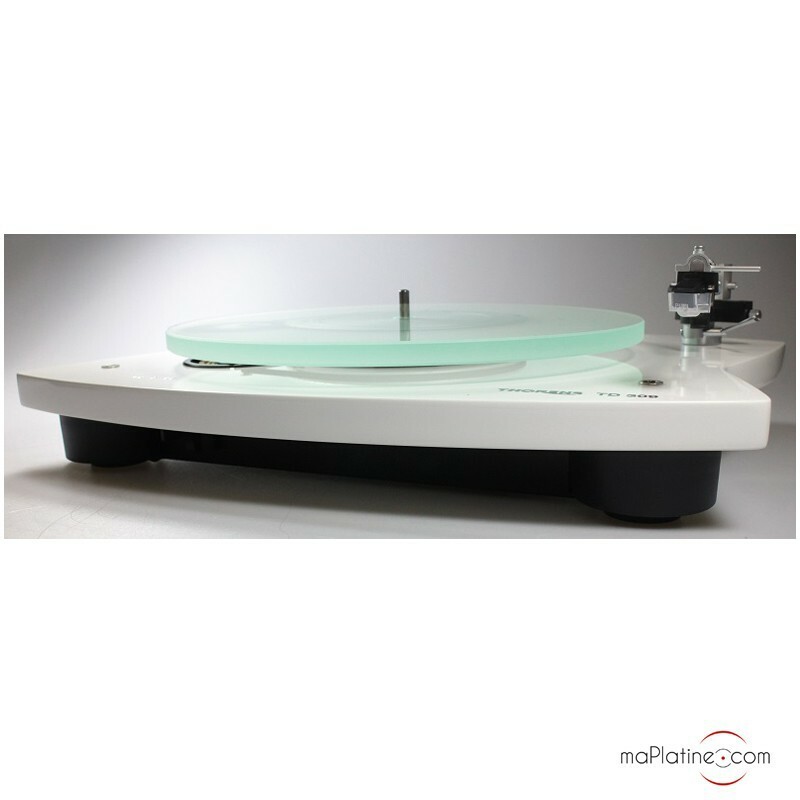 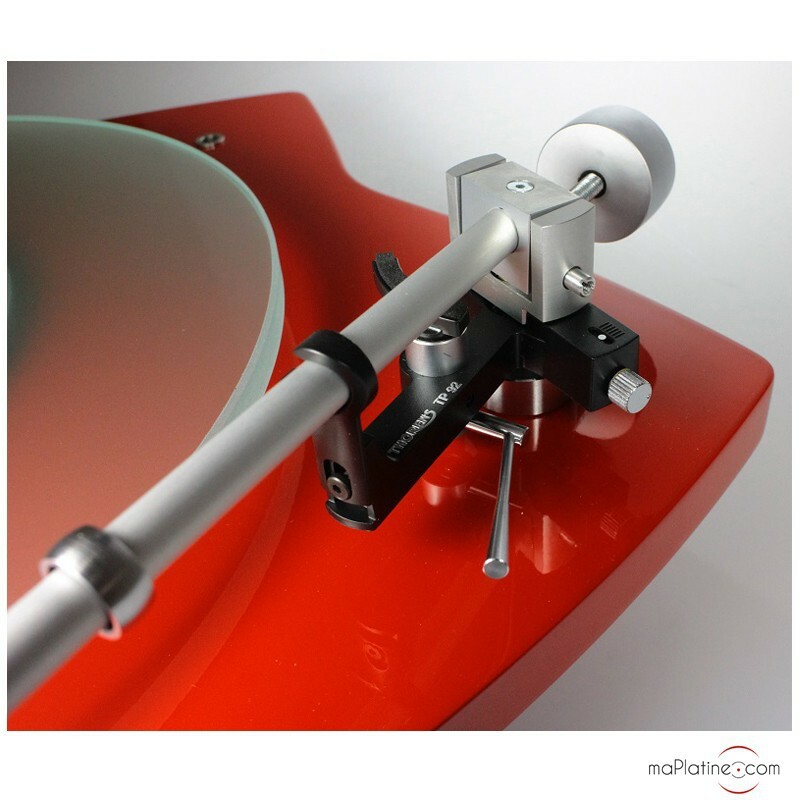 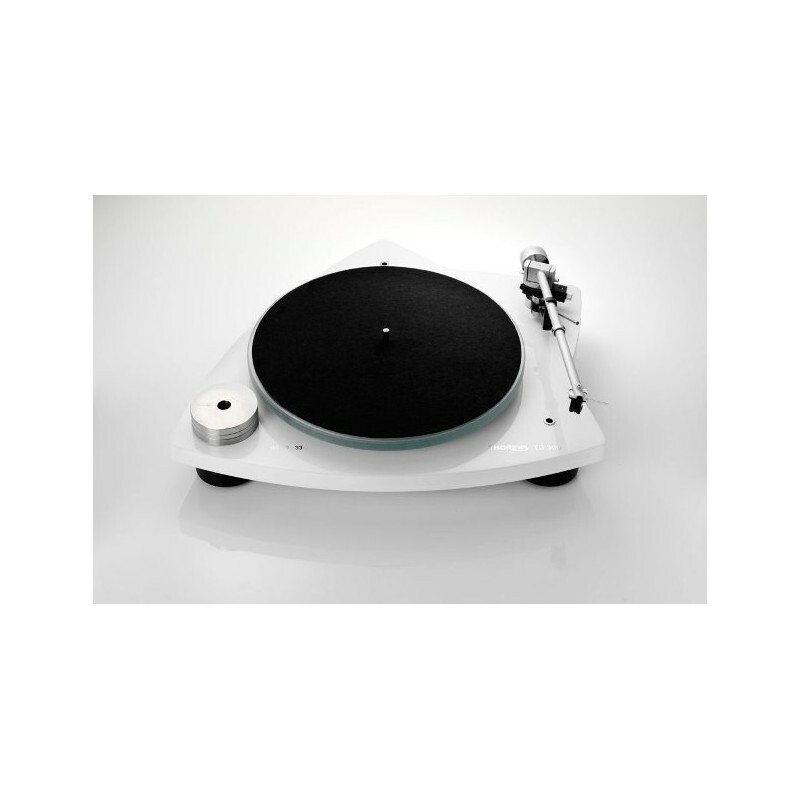 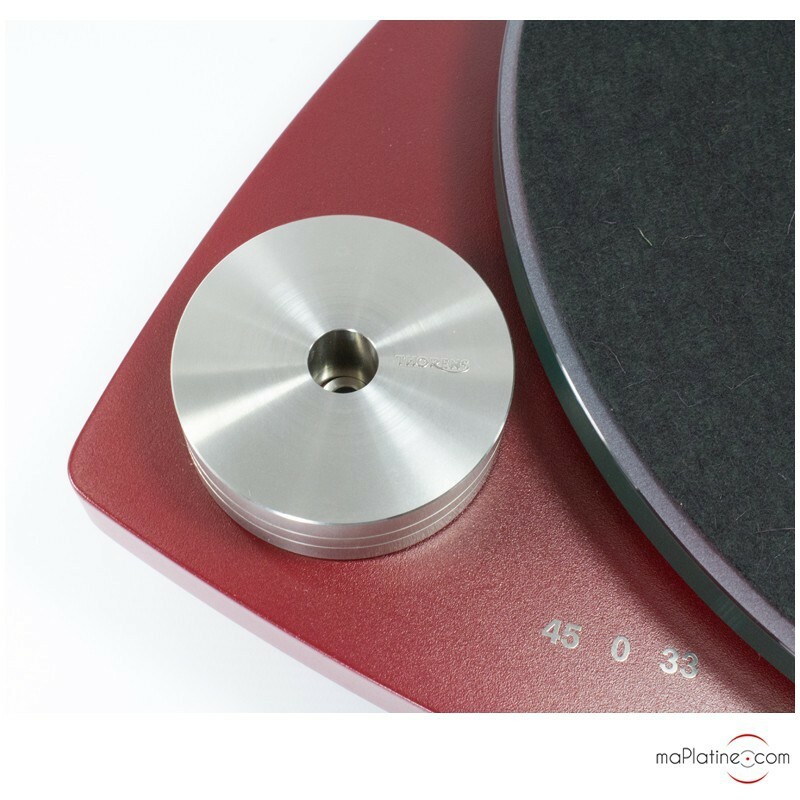 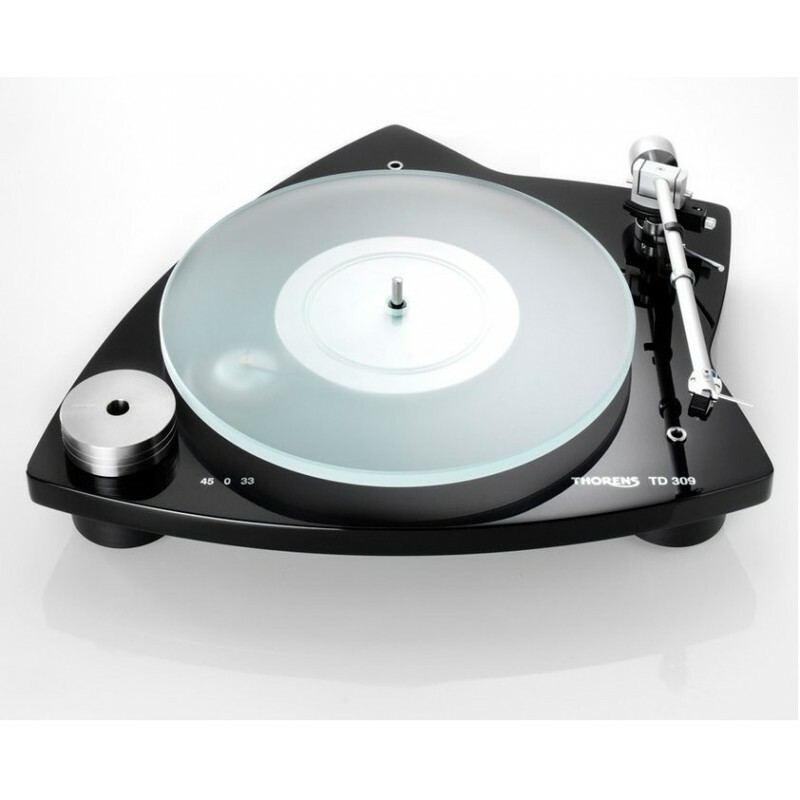 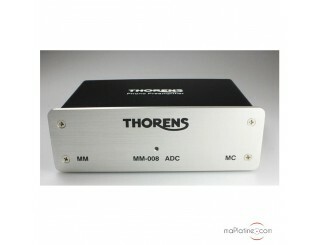 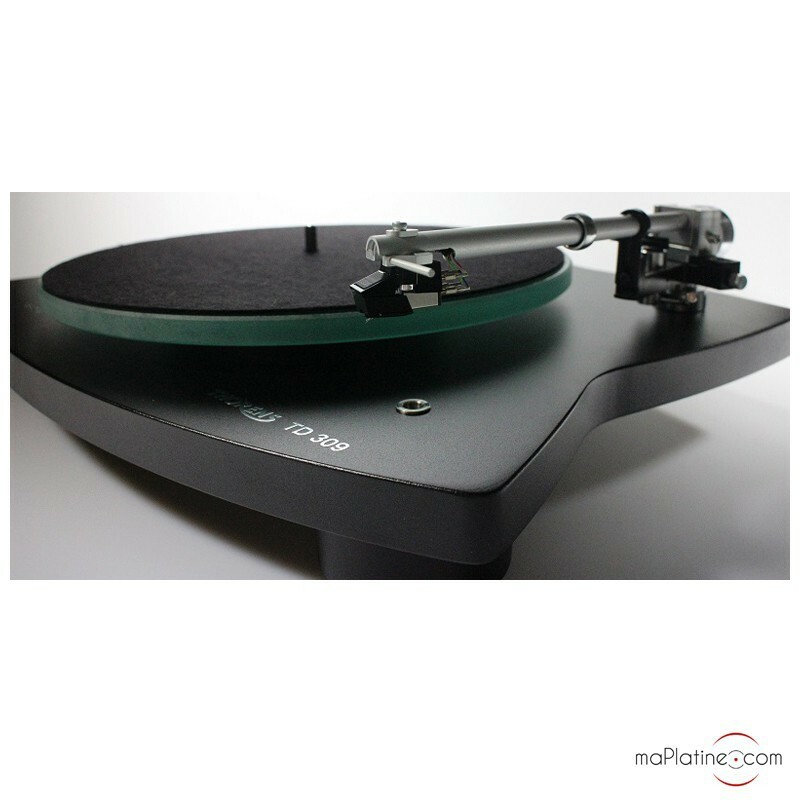 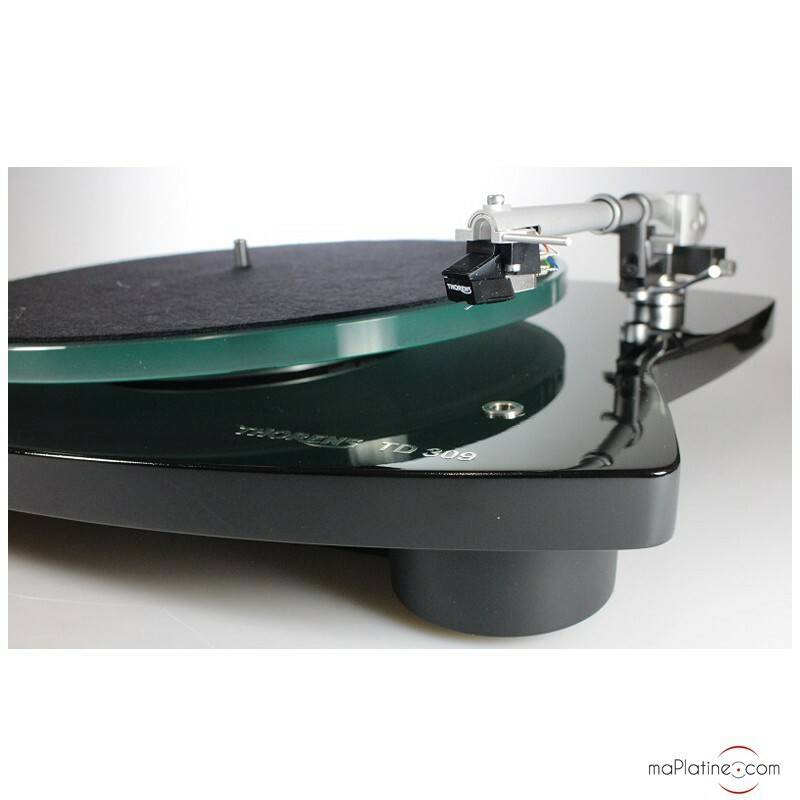 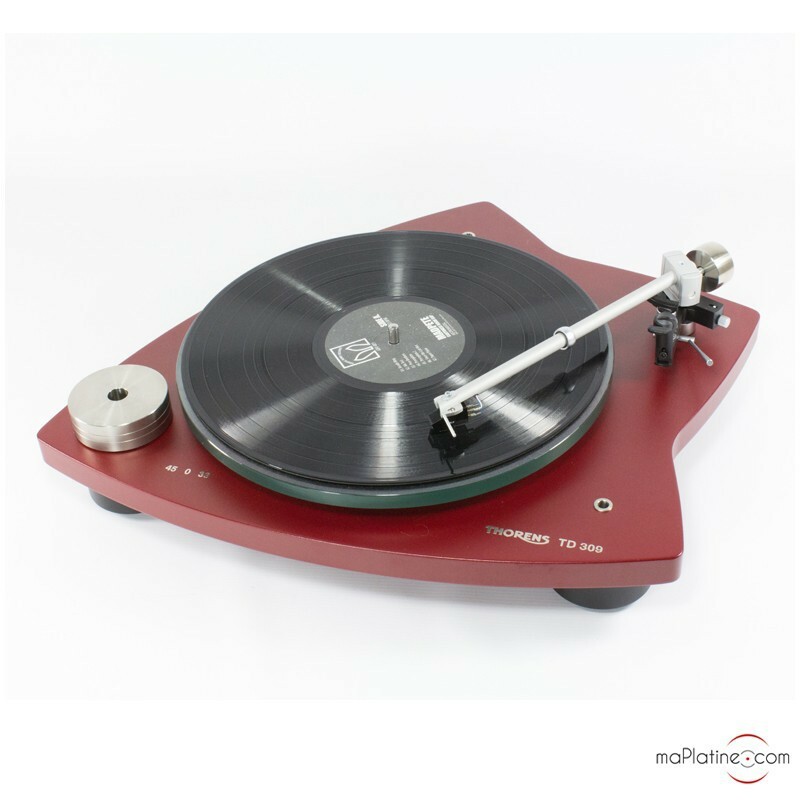 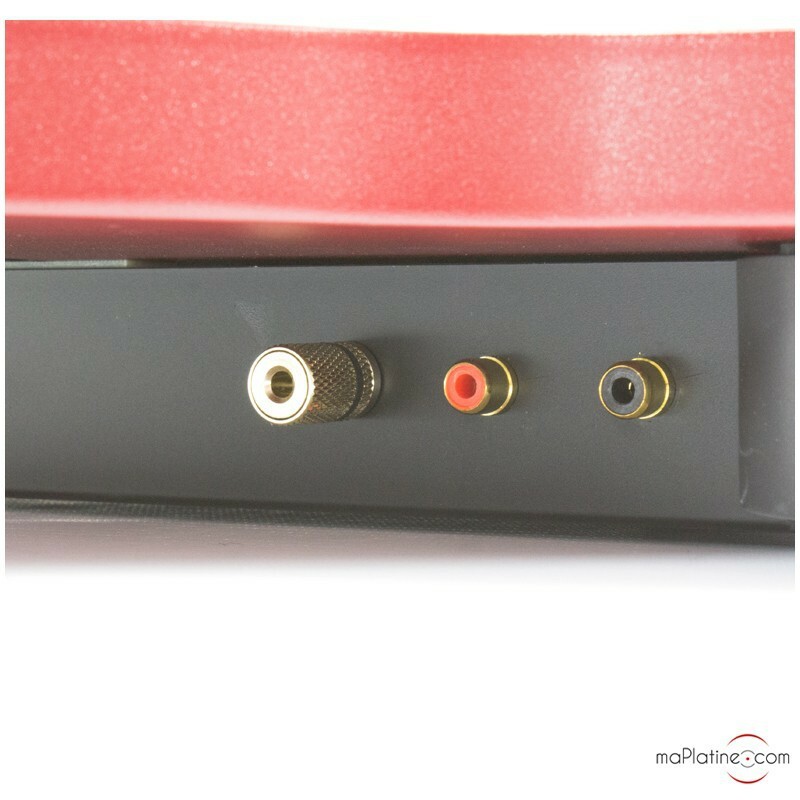 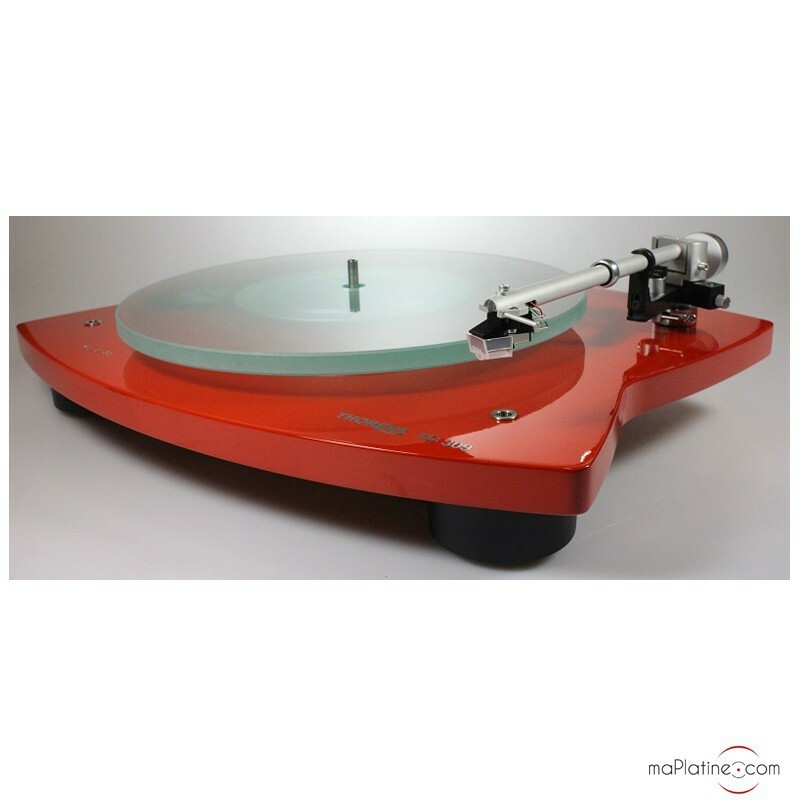 Considering the capabilities of its tonearm, it can accommodate very high-end cartridges.